Fans rejoice - your voices have been heard. Final Fantasy Type-0 has been announced for Western release in both Europe and North America, in the form of an HD Remaster of the original PSP game. No release date has been announced, but the game is currently in development and will be released on PS4 and Xbox One. 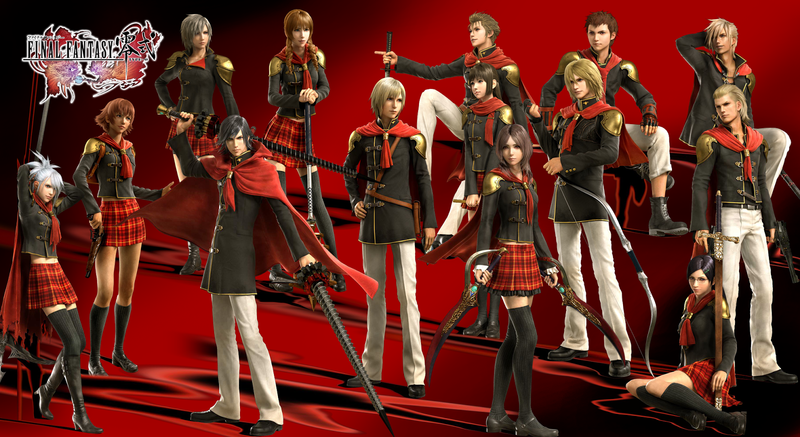 Type-0 revolves around a group of 12 students called Class Zero that are called upon when the Milities Empire begins to attack nations in the world of Orience. The game was also highly critically acclaimed in Japan. Final Fantasy Type-0 is part of the Fabula Novas Crystallis series that includes the Final Fantasy XIII series and Final Fantasy Agito, which was also announced for Western release at E3. This announcement is particularly interesting when you take into account that a fan-translation was released just a few days ago. The fan translation requires you to buy the PSP game and then install a patch to play the game fully translated. It will be interesting to see who will wait for the official HD remake or who will impatiently download the fan translation (which by the way, took 18 months to translate). I'll personally be buying the game - I have to show my monetary support to Square Enix for the fact that they are bringing this Westward because the fans asked for it. As much as I'd love to support the fan translation and people's hard work, I would feel wrong if I didn't encourage Square Enix to listen to their fans. What will you do? Comment below. You can pre-order Final Fantasy Type-0 HD from Amazon. Alternatively, you can buy the Japanese PSP edition of Final Fantasy Type-0 at Play-Asia.